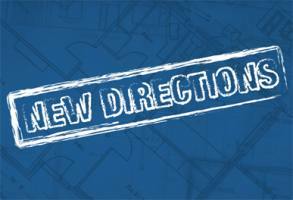 NEW DIRECTIONS FOR LANE COVE THEATRE COMPANY - It's all about YOU! Lane Cove Theatre Company is first and foremost a community theatre group, patiently waiting (waiting...waiting...) for that wonderful day when we might move into our very own performance space or theatre in Lane Cove. Whilst waiting for that elusive theatre, we would like to re-align our operations next year and continue serving the local community by presenting a series of one-hour theatrical happenings in local community facilities such as the Music and Cultural Centre, the Seniors Centre, the new art gallery (Gallery Lane Cove) and maybe even the lofty atrium of the Lane Cove Council building. Each venue offers us creative possibilities. These theatrical happenings may even occur monthly. In the meantime we are investigating other facilities in our local area which may offer us temporary performance space to enable us to continue producing plays. Monologues or Sonnets. Yes- if you have velvet vocal chords you can audition for this honour - you will definitely be photographed and featured in our regular monthly "Spotlight" article in the local newspaper! We may even present short scenes from well-known plays. Perhaps 'Shakespeare himself' could give a talk on his life and times in Stratford-on-Avon and read some favourite passages from his plays. There could be a T.S. Eliot Day, a Robbie Burns Day, a Great Australian Poets day (with lamingtons) - again more opportunities for you to work as a soloist and bring to life works of the great poets. We could present a suite of 10 minute plays, themed mask work, mime, improvisation - the possibilities are endless. Send in your ideas - feel free to produce one of these mini events! actor, your voice and how you mesmerize and engage the audience. We'll even spotlight you and add background music if the venue so allows. We envisage these presentations to be of approximately one hour's duration with no interval, to have a fixed entry price and (if appropriate for the venue) a cuppa afterwards. Lane Cove has several wonderful Festivals celebrating our rich local diversity - the Harmony Festival, the Cameraygal Festival, the 'Voc-n-ale' celebration of Vocal Art, Communication & Expression etc - and we need to be part of them. Beautiful coloured brochures are sent out into the community by Council, announcing and giving details of everything happening in Lane Cove for each particular festival - fantastic free advertising! What about the panto you ask? Of course we'll still do a panto! To coincide with the Lane Cove Cameraygal Festival, with a special spot in the plaza at the grand opening celebrations where we tell everyone about it. It's those enthusiastic multitudes of youngsters we rely on to keep coming back each year, eventually to grow up and join our adult casts later on. If you have any wiz bang ideas about a short theatrical presentation you would like to produce or be part of then please - let us know! We welcome all suggestions. If an event of yours is selected for presentation, not only is it publicized in a council brochure, but you and your event will definitely be highlighted in our monthly Spotlight column in The Village Observer, our local newspaper. Lane Cove Theatre Company - acting in community interests!